For people who are interested in the sport of rodeo. Either competing as a Collegiate NIRA member or just want to learn more. Experience not needed. Members of the EOU Rodeo Team actively compete in the Northwest Rodeo Region through the National Intercollegiate Rodeo Association (NIRA), in order to qualify for the College National Finals Rodeo. 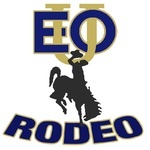 Individuals interested in joining the EOU Rodeo Team are advised to speak with the coaches. They can inform you about the admissions requirements of EOU and what your academic obligations will entail. If you are already attending EOU or have been accepted for future attendance, the coaches can outline for you our athletic evaluation process and what you will need to do to become a part of the rodeo team.